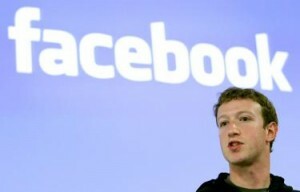 Facebook Inc (NASDAQ:FB) dominates social networking with an overwhelming amount of market share. According to DreamGrow, Facebook Inc (NASDAQ:FB) leads market share of website visits with 82.54% of visits. YouTube is in second place with 21.33%, and Twitter follows that at 1.85% (the market share figure only includes the top 10 social networking sites). The app will serve-up fresh artists and tracks to Twitter users based on some personal information, including who the user follows on the social platform, according to the report. The app will also use third-party services such as Apple Inc. (NASDAQ:AAPL)’s iTunes and the music service SoundCloud to enable users to listen to recommended tracks. The Twitter app will partner with Apple’s iTune store and in a way, it seems like it’s an attempt to take a stab at Facebook Inc (NASDAQ:FB) and Spotify’s combined success. According to Reuters, “Spotify counts five million people among paying subscribers, a 25 percent increase during the same time period.” Five million subscribers at $10/month equate into approximately $600 million in revenue per year. Spotify’s success as a media platform was primarily driven by Facebook Inc (NASDAQ:FB), and Facebook’s success with Spotify clearly proved that it’s possible to run with social-music media. So now both Twitter and Apple Inc. (NASDAQ:AAPL) seem to be adopting a similar product distribution strategy. That being the case, I find it highly unlikely that Twitter’s music platform will be anywhere near as successful as Facebook Inc (NASDAQ:FB)’s. In fact, I anticipate Facebook Inc (NASDAQ:FB) to sustain its success in digital media services and add-on services that have yet to be announced. Facebook Inc (NASDAQ:FB) seems better at identifying and executing upon opportunities that are compatible with the social network. Analysts on a consensus basis anticipate Facebook to grow earnings by 29.19% on average for the next 5-years.